This page contains collateral we hope you will find valuable and interesting. If you need anything else, please do not hesitate to contact us. 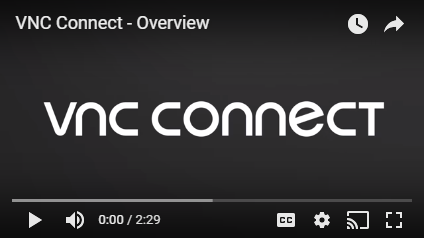 This section contains product and sales positioning information for VNC Connect. Please contact your Partner Manager if you have any branding questions or require our logos in a format that we have not provided. This section contains predefined email and digital campaigns that you can use for your own promotional activities. Your Partner Manager would be happy to work with you to adapt campaign content to meet your specific market requirements. 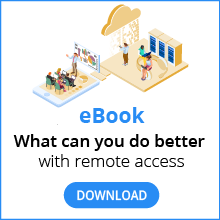 With so many options on the market, choosing a remote access software solution that will resonate with your customer can be a frustrating process. These documents can help your customers find clarity in the world of remote access technology. If you would like any of these whitepapers branded for your organization, simply tell your Partner Manager what you need and we can customize our collateral for your company requirements. 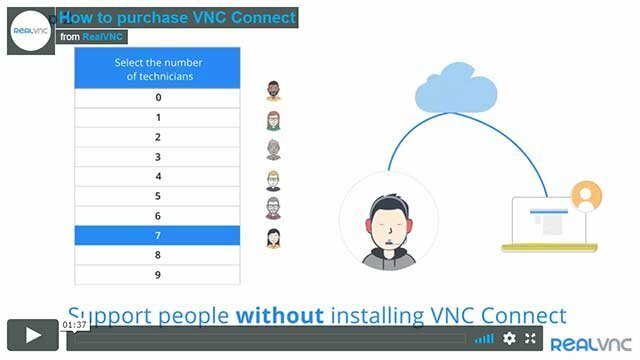 Security is a critical consideration for anyone deploying remote access software, and VNC Connect has a world-class security architecture that meets or exceeds the capabilities of our competitors. These document provide an overview of the security features, policies and controls that are important to many potential customers. 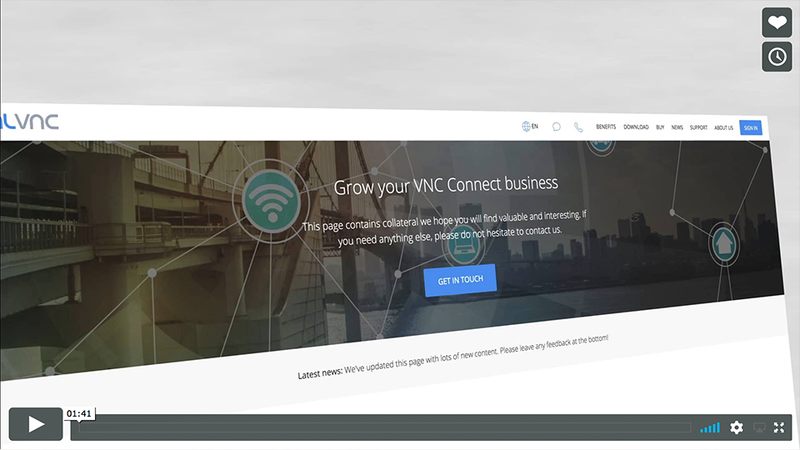 These documents compare VNC Connect with commercial and free-to-use alternatives, highlighting clear advantages that VNC Connect has over our primary competitors. Given the increasing importance of remote access software to your business ecosystem, it’s important that we help your customers understand their options. These documents will help your prospects and customers cut through the confusion about features and subscription models so they can make an informed decision. 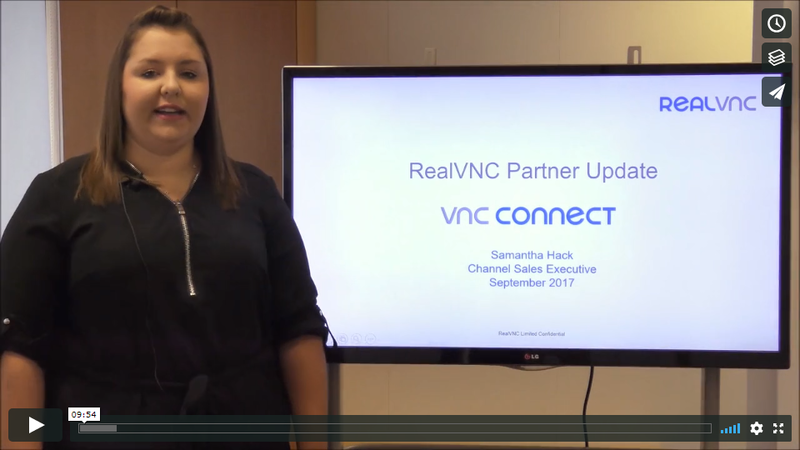 Our customer case studies explain how organizations are using VNC Connect to reduce the cost and risk of field service activities, minimize downtime and improve the quality of supporting remote computers and devices. These compelling stories detail remote access strategies that also support regulatory obligations and create new revenue opportunities. If you would like any of these case studies branded for your organization, simply tell your Partner Manager what you need and we can customize our collateral for your company requirements. 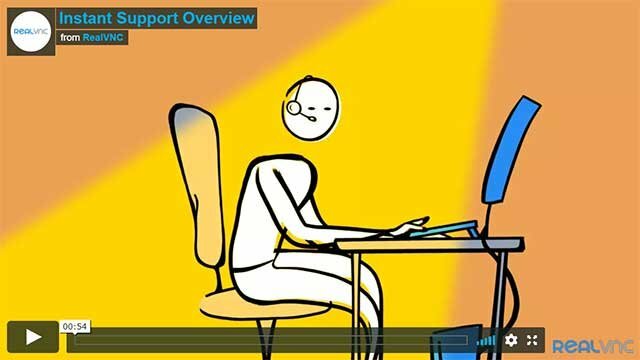 To help educate prospects and customers on the basics of remote access and provide insights into important issues, we've created a one-stop-shop remote access tutorial. We regularly blog on topics related to remote access, which you are welcome to reference on your website and in your social media campaigns. If you would like to repurpose any content, please contact your Partner Manager. Complete the form below to submit your questions or comments.